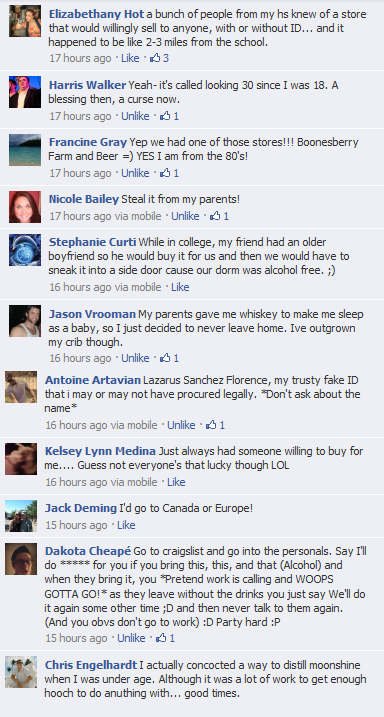 Last night on the show, I decided to figure out everyone's tricks for getting alcohol before they were 21. The idea came from Peeta/Josh Hutcherson getting caught buying alcohol, even though he's only 19. CRAIGSLIST?! Has anyone seriously tried this?! I mean, I believe that it works, but there are so many things that could go wrong with that, don't ya think?! Yikes. I love when a lot of people participate and call the show. [Almost as much as I love corrupting today's "youth."] Program 757-473-1005 in your phone now and call me any time!